Google is in advanced talks with Verizon Wireless to put its applications on Verizon phones, according to the Wall Street Journal. Google reportedly also is also talking to Sprint Nextel. The talks appear to center around carrier licensing of software and anoperating system that would power a Google-optimized mobile device. Such devices are expected to cost less than similar handsets, as part of a "Google everywhere" strategy not built on handset sales or recurring service provider revenue streams. NetZero Voice, the VoIP-over dial-up service sold by NetZero, is being shut down by Dec. 15. Customers who want to migrate to the Packet8 service can do so for $19.95 a month. Since 2005, NetZero had gotten only had about 12,000 subscribers, it appears. Former NetZero customers might be a mixed blessing for 8x8, though, which now focuses on VoIP services for small businesses. One has to believe most of the NetZero customers are consumers with a high value orientation, possibly similar in profile to the high-churning value customers EarthLink has to contend with. So not only are the potential new customers outside the desired customer segment 8x8 is chasing, they probably are high churn customers as well. Time will tell. Though it might be said to be a baby step, Qwest Communications has decided to up capital spending by an incremental $200 million over the next two years to bring 20 Mbps service to 1.5 million customer dwellings. The fiber-to-node plan obviously will rely on Digital Subscriber Line of some sort for the drop, but Qwest did not specify which particular approach it has in mind. It could use ADSL2 or VDSL, of course. Basically, the company, which normally spends between $70 million and $100 million on fiber-to-node access plant, is incrementally spending the extra $200 million to pick up the tempo. In a bit of a twist, Qwest will not deliver linear entertainment video over the network, relying instead on its DirecTV satellite service for that. Instead, it really sees the FTTN upgrade as a data services play. As is always the case, investors seem not to like the idea. They didn't like Verizon's FiOS plan or fiber-to-customer plans launched by independent providers in France, for example. Investors fear Comcast and other cable companies will wind up spending more money on upgrades of their own as well. Qwest is doing the right thing. Bandwidth is the reason any terrestrial wireline network has for existing. Failure to invest in bandwidth means business death. Sure, investor expectations have to be managed. But were in up to the investors Qwest would pay out a dividend and condemn itself to ulimate bankruptcy. The program is not nearly as sweeping as upgrade programs underway at Verizon and at&t. Qwest simply can't afford that. But neither can Qwest sit still and do nothing. Investors might finally be seeing the fruits of at&t and Verizon investments in broadband infrastructure. They will see the same at Qwest, as unpopular as the investments are. Hutchison Whampoa's mobile operator 3 has launched the Skypephone. The phone will be available on Friday in the U.K. market and also will launch in Australia, Austria, Denmark, Hong Kong, Italy, Macau and Sweden before Christmas, Hutchison Whampoa says. 3 will pay Skype royalties based on the number of active users of the service. Hutchison Whampoa Group expects the phone - which has 3G multimedia capabilities, an MP3 music player and 2- megapixel camera - to sell by the hundred of thousands of units in the fourth quarter, and over the next few years he hopes to extend that into the millions. 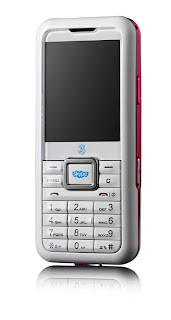 Separately, 3 said it expects to sell more than 100,000 phones in Italy by the end of 2008. It's an interesting experiment in "account control." If 3 customers make phone calls using Skype, Hotmail for messaging, Google for search and YouTube for television, it might devalue the operator. But 3 is taking steps not to kill itself. Initially, users will not be able to use SkypeOut to place calls to the public or mobile networks. Next year the feature is supposed to be enabled. Customers trying to use the Skype service in countries where 3 doesn't have a presence will have to pay normal international data tariffs. So it might be cheaper in that instance to use the standard mobile calling feature as well. Covad Communications Group has signed a definitive agreement to be acquired by Platinum Equity in an all-cash transaction valuing Covad at $1.02 a share. Platinum Equity is a global merger and acquisition firm. Irrespective of what it means for Covad as a financial asset, it will be interesting to see how Covad and its customers might benefit. In some ways, Covad is a hard company to explain in simple terms, much as EarthLink is somewhat convoluted. "National local" possibly obscures as much as it clarifies. It provides fixed wireless, T1, DSL, hosted voice, wholesale and retail services. It does operate a national network to service local access markets. It is a small business specialist but has lots of consumer end users. It has lots of central office co-locations. The problem is that all those things get done by other entities as well. Covad's line-powered voice offering actually is unique in the market. But that's a position praiseworthy and troublesome at the same time. Whether something is "unique" or "odd" is a matter of perspective. There's no question but that line-powered voice is positioned in its own quadrant, as far as mass market voice services. The issue is how much effort it takes to make the benefits clear to a typical consumer abd whether the benefits are valuable enough to differentiate the offering. Cable companies decided it was a negative to offer anything other than "digital voice" to customers, with no new features. At the other end of the spectrum, hundreds of millions of people had no problem at all grasping what Skype was all about. Everything in between takes a bit of explaining. If you are a fan of Web-activated calling, and really prefer using your mobile, and want to use a service that actually is easier to use than Jajah (and Jajah is really easy), try Mobivox. Once you upload your directory numbers to Mobivox, you dial a local access number and then use voice prompts to pull up numbers in your directory and then Mobivox connects you. If you are calling a number not in the directory, you get a prompt to enter the number on the keypad. The voice recognition seems to be quite good. There are no client downloads, even when using a mobile. You can use any phone at all. No need for a smart or feature phone. It is pleasant, easy to use, and the voice activation feature is almost fun (what about "dialing" or "clicking" phone numbers actually can said to be "fun"?). The ability to use it without a download is really nice, as downloads are a huge barrier to adoption for most people, including me. Sprint Nextel has agreed to provide departing Sprint PCS customers with the code necessary to unlock their phones. Of course, an unlocked Nextel iDEN phone won't do you much good. But at least Sprint's CDMA phones can be used on the Verizon or Alltel networks. Sprint made the offer to settle a California class action lawsuit and an Alameda County Superior Court judge has given the settlement his preliminary approval. A final approval hearing hasn't yet been scheduled. Sprint said it will share the unlocking code with all current and former subscribers once their phones are deactivated and their bills are paid. The company also will add information about the locking software and how to obtain the unlocking codes in the list of terms and conditions of service given to new customers, and instruct its customer service representatives on how to connect a non-Sprint phone to the Sprint network. The settlement covers customers who bought a Sprint phone between Aug. 28, 1999, and July 16, 2007. T-Mobile is facing a similar class action lawsuit in California. Users of the iPhone, which is locked to the AT&T network, filed two separate lawsuits last week against the carrier and Apple Inc., claiming its use restrictions and a software upgrade that disables unlocked iPhones constituted unfair business practices. Comcast is kicking its business services initiative into higher gear. "Our total commercial revenue passed $100 million for the first time in the third quarter," says Steve Burke, Comcast COO. "We have hired and trained 750 business salespeople and trained 1,200 technicians to install and service business customers." "Each of our 29 operating regions have now introduced Comcast business class as our commercial brand, supporting data, voice and television," he says. It will take some time for Comcast to iron out all the wrinkles, just as it took some time to fine tune the digital voice effort. Some of you will remember a few stumbles Cisco took when it got into the IP communications business. The point is that as capable as they are, it will take some time before cable shows its ultimate skill. But it will. AOL has developed a new mobile version of its online services, in line with the trend to optimize Web experiences for mobile access. Though the trend has been underway in any case, it might be fair to say that the sudden success of the Apple iPod has alerted the whole industry to the existence of a new mobile segment: high-end Web-centric users for whom Web applications and entertainment as as important as voice and text messaging. And since over time, all phones are expected to become smart phones or feature phones, mobile-optimized Web sites are a must. The upgrades include more mobile-friendly versions of AOL Search, Mail, MapQuest, and AOL Instant Messenger, among other features. The new mobile search, for instance, will offer results that are more tailored to users on the go, such as driving directions and click-to-call options linked to services like MapQuest and Moviefone. A mobilized myAOL service will enable users to personalize the AOL mobile site by selecting news headlines, pictures, and RSS feeds. Separately, AOL plans to launch AOL MyMobile, a new application similar to Yahoo's Go service, by year's end. It will allow Mobile Windows users to download a range of AOL services such as Mail, Cityguide and Search, and will remember recent requests to help speed searches on the fly. A new mobile widget for GPS-enabled phones will also allow AIM users to locate each other, marking a step by AOL into the mobile social networking area. As part of the new mobile push, AOL is also formally launching Winamp Remote, letting people access and listen to music stored on their computers from on their cell phones. iPhone has changed some things and accelerated some things. Much faster movement towards mobile-optimized Web experiences is among those impacts. Vonage has settled a patent lawsuit brought by Verizon Communications Inc. for an amount yet to be determined but not in excess of $120 million. Vonage already has put $88 million in escrow and the settlement caps any payouts Vonage will make on top of that amount at $32 million. Having settled a suit filed by Sprint, and nearing closure on the Verizon patent infringement lawsuit, Vonage still faces a patent lawsuit filed by at&t. The Verizon settlement is the third Vonage has had to make so far. Some residents of New York, Connecticut, and New Jersey now are able to buy Verizon's new symmetrical 20 Mbps FiOS service. The 20/20 service costs $64.99 per month and includes Verizon's Internet Security Suite and 1 GByte of online backup (up to 50GB can be purchased. A small business version is certain to be offered. Can you guess what this will do to T1 demand and pricing where the offer is available? Boingo Wireless has created a new tariff aimed squarely at Nokia smart phone and tablet users. The new Boingo Mobile tariff means users of a half dozen Nokia devices automatically can connect to Boingo’s network for $7.95 a month (€5.95 or £3.95). Compatible devices include the N800, N810, N95, N91, E611 and E51. The significance, it seems to me, is that Boingo is among the first broadband access providers to provide an actual consumer offer that matches many instances of the mobile device Web use case. Where a lap top user might reasonably expect to park at a hot spot for 30 minutes, a mobile user walking on the street might expect to use a Web application for three minutes. And a user might only require the access a few times a month. So the issue really is matching the perceived value of the connection time, compared to the tariff. At some point, similar thinking will need to be applied to Wi-Fi-enabled devices of other sorts, such as cameras. It sometimes is useful or pleasing to be able to take a picture and send a picture right away. But the typical user is going to evaluate the cost of being able to do so in a different way than he or she would evaluate a monthly bucket of voice and data. The other interesting angle is just how far one can push the ad hoc, partly available network idea. In the extreme, can one create a use case for devices that only operate on Wi-Fi? Though generally unappetizing for a voice device, are there scenarios where it works well enough for broadband Web access applications? Also, what are the niches for dual-mode mobiles able to use wireless networks and Wi-Fi, but whose owners opt not to buy full-coverage, unlimited or large data plans? In other words, is Wi-Fi coveratge at home, in the office and at public locations satisfy a use case for enough potential users to create a sizable business? As was to be expected at a wireless show where enterprise applications are a big part of the content, rival handset manufacturers dismissed the iPhone's prospects as an enterprise device. Most of the barriers seemed to center on the lack of openness, compared to what is available on other platforms such as the Windows Mobile and Symbian platforms. Enterprise IT manager resistance was another frequently cited hurdle. Some pointed to the still-small volumes Apple can point to, in light of a market with an installed base of two billion. One executive quipped that his firm sold more phones "during lunch" than Apple has sold to date. Still, Apple got begrudging respect for its design skills, ability to capture the essence of "cool" and for the way iPhone has singlehandedly changed handset design. The LG Prada, for example, features one such new look. Others pointed to the way Apple has pushed the U.S. market further in the direction of unlocked phones and consumer choice. Some pointed to Apple's unheard of ability to dictate terms to carriers used to getting their own way with handset providers. Some said iPhone was a tipping point, milestone or landmark. It is the first phone that really puts Web experience right up there with voice performance. Up to this point high end phones have been about productivity. iPhone arguably is the first to put "fun" at the center of a high end device. "For the first time, you have a Silicon Valley company disrupting the whole market," says Cyriac Roeding, CBS Mobile EVP. Still, there are lots of other important segments, even though there seems universal agreement that, at some point, just about every phone sold in North America and Europe will be a smart phone. Not everyone is going to want a touch interface for text entry, as useful as it is for Web browsing. The HTC Touch seems to require fingers much smaller than mine, for example. The lack of tactile feedback seems to require some getting used to as well, though Nokia seems to have a solution for that. One issue enterprise information technology staffs must contend with is the difficulty of managing and securing mobile devices used by enterprise associates in the same way they manage desktop PCs. But Microsoft thinks it has a solution. Microsoft next year will roll out the Microsoft System Center Mobile Device Manager 2008, a new mobile-dedicated server solution that helps companies manage Windows Mobile phones as they would their Windows-based laptops and PCs. Using Mobile Device Manager, companies can deliver new applications to phones over the air as well as by mobile virtual private network. Samsung's Blackjack II smart phone and at&t Wireless are two early partners. 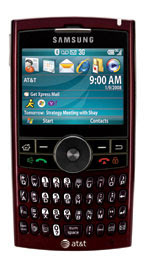 Blackjack II, a new Windows Mobile 6 phone featuring GPS that will be updatable to support Mobile Device Manager, will be deployed by at&t in a Mobile Device Manager 2008 configuration. In fact, at&t and Sprint both say they will support Mobile Device Manager for business customers next year. If you are attending the VON Show in Boston, be sure to check out the VONCamp Unconference. Tired of attending sessions where the same people you have been hearing from are giving the same presentations you already heard? The whole idea is to let whomever shows up select the topics, shape the discussions and share what they know. "Think of it as constructive anarchy," says Iotum CEO Alec Saunders. "Amazing things can come out of these sessions." Tom Howe will kick the day off with an "agenda bashing" session, where all attendees will decide on the agenda for the day. After that, 12 sessions of 25 minutes each area available. Anyone can present and everyone is expected to participate in some way. I'd be willing to bet this is the best use of time most of us could commit at the whole meeting, no offense to the organizers of the more traditional show. The iPhone has become at&t's top selling device, commanding some 13 percent of overall sales, according to Strategy Analytics. At least 1.325 million units have been sold in the U.S. market since the iPhone was launched. It also is conceivable that the iPhone will be the top selling U.S. dvice over the next couple of quarters. Currently, the top selling U.S. handset is Motorola's RAZR V3. Generally, the top 10 handset models account for approximately 25 percent of total handset sales in a typical quarter. "The typical iPhone buyer is college educated with a six-figure household income," Strategy Analytics says. The largest percentage of iPhone buyers is between 20-30 years old, but nearly 25 percent are between 50 to 60 years old. Which makes sense, given the demographics of buyers, which are high end. One mobile device trend is the creation of "cross over" devices that meld feature phones big on media with "work" phones optimized for email. But there's another trend: creation of new devices that are optimized for one particular application or use mode. Add the new Skype phone to that bucket. Skype plans to introduce the phone in the countries where mobile carrier "3" operates. 3 is the mobile venture of Hong Kong's Hutchison Whampoa Ltd. and operates in Australia, Hong Kong, Indonesia, Austria, Denmark, Italy, Ireland, Sweden and United Kingdom. The whole point here is to optimize the phone for Skype, making it as easy as possible to use on a mobile device. If BlackBerry is "email in your pocket," and iPhone is "Web and music in your pocket," then the new device is "Skype in your pocket." iPhone buyers were 10 times more likely than other new phone buyers to have previously owned a Treo and three times more likely to have owned a T-Mobile branded phone, such as the popular Sidekick model, say researchers at NPD Group. In contrast, iPhone buyers were no more likely than the average buyer to have previously owned a Blackberry. NPD theorizes that lack of support for corporate BlackBerry servers is the reason. Alltel and T-Mobile took the biggest churn hit. Consumers who switched carriers to buy an iPhone were three times more likely to switch from Alltel or T-Mobile than from other carriers. Sprint and Verizon also lost customers to at&t, but not nearly to the same degree. If early buyer trends hold up, the iPhone might be bridging the gap between content-focused feature phones and productivity-focused smart phones, NPD argues. Personally, I still think it will be tough to develop a single device that is equally adept at melding feature and productivity device functions. Well-designed user interfaces will help, but the fact remains that such devices must embrace too much complexity and consume too much power. That means the devices will be harder to use. Mobile phones still are consumer devices. And in the consumer device space it is a truism that a single-purpose device will outperform a multi-purpose device. Unfortunately, lots of us will continue to use two devices as a result. 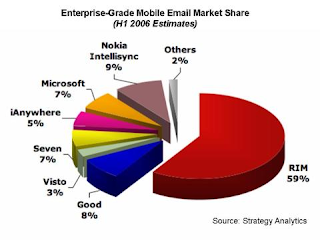 The Nokia-backed Symbian mobile phone operating system is adding a "touch" user interface. The S60 operating system will support a variety of input methods, including touch screens with a traditional keypad, touch screens with a "qwerty" keyboard or touch screen alone, supporting both finger or stylus optimized input. OS also expands the use of sensor technology to detect device motion and orientation, a feature expected to be used in gaming applications, for example. The new OS also is said to be the first mobile software platform to deliver the complete Web video experience, including Flash Video. This allows people to view on the go Flash-enabled Web sites and Flash Video, such as YouTube, as they would do on their desktops. How Much More Can Vonage Take? And what is the exposure for other independent providers of VoIP services? Not to mention software and hardware providers, though the dominant carriers are unlikely to sue their suppliers. AT&T filed a lawsuit against VoIP provider Vonage Oct. 19 seeking damages for alleged patent infringement. The lawsuit comes on the heels of a Vonage settlement with Sprint Nextel over patent infringement as well, and against an as-yet-unresolved patent infraction case filed by Verizon. Vonage also appears to have settled another legal dispute with Klausner Technologies, a small company with patents on voice mail technology, for an undisclosed sum. In a filing with the U.S. District Court for the Western District of Wisconsin, at&t says Vonage willfully infringed an at&t patent related to telephone systems that allow people to make VoIP calls using standard telephone devices. So far, Vonage's patent-related payments are north of $80 million, as Vonage announced on Oct. 8 that it settled its suit with Sprint Nextel for $80 million. As part of that agreement, Vonage agreed to license VoIP patents from Sprint, including more than 100 patents covering technology for connecting calls from a traditional phone network to an IP network. And then there is the Klausner settlement. Vonage is also in the process of resolving a patent infringement dispute with Verizon. Unfortunately, of course, the Sprint Nextel settlement and the ultimate Verizon settlement will set a precedent likely requiring Vonage to settle with at&t as well. That will likely bump Vonage's patent payments well above $100 million in total. And if Vonage is infringing patents held by all three giants, what are the odds other VoIP providers are immune? As for the giants, they'll simply cross-license. For everybody else, the warning is pretty clear: get too much success and you will be sued. So one wonders when the assault against cable companies will come. After all, if one wishes to slow down competitors, messing around with Vonage is okay if it creates the foundation for the bigger assault against cable. But Vonage isn't a telco incumbent's big problem in any case. It is a sobering thought: all the other independent VoIP providers other than cable are much smaller than Vonage. What chance do they have if any conceivable profit goes to pay lawyers and settlement fees? Although WiMax and third generation cellular have been positioned as rival and alternative wireless standards, that might change in some cases as the International Telecommunication Union has decided to include WiMAX in the IMT-2000 set of standards. WiMAX is to be considered, after all, as just another 3G solution such as W-CDMA, CDMA-2000 and TD-SCDMA, all of which are part of the IMT-2000 set of standards. The decision to approve the WiMAX Forum's version of IEEE Standard 802.16 as an IMT-2000 standard boosts WiMAX chances for wider deployment, especially within the 2.5-2.69 GHz frequency bands. How much of a boost is hard to predict. WiMAX still will compete with the HSPA "Super 3G" or "long term evolution" (LTE) path most cellular operators have been saying they will take, in large part to preserve the value of expensive infrastructure they already have in place. WiMAX represents a sharp departure from that strategy. Therein lies the challenge. Few 3G providers will want to risk being marginalized if the great bulk of 3G providers opt to stay on course. Roaming issues, handset cost, availability and price are the price to pay for bolting from the generally accepted path. On the other hand, an upstart might choose WiMAX in order to differentiate itself from the pack, despite those issues. It's risky, but a challenger might be willing to take some risk, in a bid to grab a seat at the table. After nearly bankrupting themselves chasing 3G spectrum rights, most European mobile carriers will understandably be cautious about risking too much again. Verizon Wireless and at&t say they are changing their contract policies, and will allow customers to make changes to their calling plans without automatically extending their contracts. at&t also announced it would reduce the fees consumers pay for breaking their long-term contracts. The moves come as Congress is debating legislation that require wireless companies to prorate the fees they charge customers to cancel their cellphone contracts. The bill would also force companies to allow customers to make changes to their calling plans without automatically extending their contracts. at&t says it will replace its $175 cancellation fee with a prorated system allowing customers to pay less if they are near the end of their contract. at&t also says that it will allow customers to make changes to their calling plans without having to extend their two-year contracts with the company. Verizon Wireless has prorated cancellation fees for nearly a year, but last week it also began to let customers change their calling plans without extending their contracts by a year or two. Contracts obviously makes sense for carriers as they smooth out revenue, lock in customers and allow discounts on phones. But a move away from that model seems to be likely, at least in part. The iPhone pioneered a new model where consumers pay for their phones without subsidy. In Europe consumers already can buy phones without being locked into service with any particular carrier at all. So it seems likely that consumer pressure will create demand for no-contract service, if not for bigger changes such as unlocked phones. MySpace Opens Platform; What About IMS? MySpace plans to open up its platform to external developers in the next few months, company CEO and co-founder Chris DeWolfe says. So here's the question for you: as global service providers creep towards IP Multimedia Subsystem as their next generation platform, who is going to develop for those IMS platforms if all the developers already are working for Facebook, MySpace and Google? In fact, here's a prediction: by the time most global carriers have fully functioning IMS networks in place, the compelling applications IMS will enable already will exist someplace else. So the issue will be: what value to the application owners and distributors will accrue as the result of a business relationship with a carrier? Or can carriers create their own versions of these already-popular applications in a walled garden setting? How Long Can Cable Keep Prices Up? For years, cable companies boasted the fastest residential broadband speeds, allowing them to resist lowering their prices. But that pricing stability may be changing, according to a new analysis by market research house Pike & Fischer. For an expanding number of homes, at&t and Qwest can match or exceed cable offerings with downstream speeds up to 7 megabits per second. And with the launch of its fiber-based FiOS service, Verizon now can exceed cable modem speeds at competitive prices in a growing number of markets. For customers signing a contract, FiOS delivers speeds of 5 to 10 Mbps downstream and 2 Mbps upstream for $40, and 15 to 20 Mbps downstream and 2 to 5 Mbps upstream for $50, note analysts at Pike & Fischer. Verizon has also begun offering FiOS "triple-play" service bundles priced below $100. This is forcing cable operators in FiOS markets to respond. Significant downward price pressure will be the result. Cablers soon will find out that in capacity and access markets, unlike some content businesses, the typical and expected trend is lower prices over time. Make a note of this: Covad Communications and McAfee are partnering to deliver bundled services for small-business customers. The companies say Covad will bundle McAfee Total Protection for Small Business services with its broadband products in a new offering called Business Essentials. Here's why you need to take note: retailers in the telecom space are used to selling services on a monthly recurring fee model. So the next big shift in business model is to start selling other services in the application realm that are delivered as a service, not a product, not a "box" or "device." Up to this point, most retail points of contact have had difficulty whenver they have been asked to behave in ways different from past behavior. Data equipment resellers often have stumbled when asked to sell recurring fee telecom services. Telecom resellers have flopped at selling hosted PBX services. Interconnect dealers have not been able to sell Cisco router-based services. Increasingly, hosted applications, sold just like telecom services, are going to be the way some legacy retailers make a jump "up the value stack" into applications, in a way that is culturally comfortable. This is a big deal and Covad is on the leading edge. Sure, you might argue, security services are a natural, and are sold by cable companies and telcos to consumer buyers. That's true. What's more interesting here is the move to create a new services model extending beyond connectivity services and up into the applications layer, in a way that makes sense for the retail sales partners. The next step is further in the direction of services for the desktop and back office. This is going to be a big deal. Sprint Nextel will sell the Touch by HTC, a smart phone using touch screen technology, starting Nov. 4 in the U.S. market. Sprint will sell the device for $250 with a two-year contract. Sprint joins Verizon and at&t in providing high-end touch-screen devices. The iPhone, which launched this summer, is exclusive to at&t. Verizon Wireless is introducing the LG Voyager in time for Thanksgiving. The HTC Touch lacks a keyboard, but it still has a stylus. The Touch runs Microsoft Corp.'s Windows Mobile 6 software. So why do we care about new phones? Simply because most of the innovation in the communications space is coming in the mobile and Web domains. So it makes sense that the most innovation could come in the mobile Web space. From the start, some critics have panned iPhone because it isn't an open platform. Because it isn't "open," it also isn't a business device. People should have paid more attention when Steve Jobs, Apple CEO, hinted that other things would be forthcoming. Now, Apple is introducing a software development kit [SDK] for the iPhone this February. And note the deployment pattern: Apple launches a "consumer" device. Consumers take the devices to work and then other business users decided they like it also. That in turn creates demand for using iPhones as enterprise clients. So now developers will be able to write those applications. If you have an iPhone, Blackberry, or Windows Mobile device, you can now point your phone's browser to http://docs.google.com/m to view (no editing yet) mobile-optimized versions of your docs, spreadsheets. Owners of iPhones additionally can view their presentations. Support currently is available only for English-language users at the moment. Okay, the images are going to be pretty small. But it is one more small step towards a Web-enabled portable desktop. TalkPlus, which provides of virtual phone number services, now works on iPhone. TalkPlus creates additional phone numbers on mobile phones, allowing users to manage personal and business calls from a single device without the need for multiple devices. TalkPlus phone numbers can be selected from major U.S. metropolitan areas and international cities in 28 countries. Each number comes with its own voice mailbox and customizable greeting. With TalkPlus, customers can also make calls that display the caller ID of any pre-authorized phone number, such as a subscriber’s office phone, providing true mobility to the receiving party. MySpace will offer one-click Skype service to its 110 million users, beginning with users in 20 countries in November. MySpace will share revenue from the deal with Skype. PC-to-PC phone calls will be free, with fee-based personal phone number, voice mail, call forwarding and calls to public network devices or mobile handsets. More than 25 million MySpace users already have installed the My Space IM program, which will be Skype enhanced. Users who set their MySpace profile to "private" won't receive a Skype call from someone who is not on their friend list. Users may also selectively add individuals to their Skype personal contact list, and any call can be blocked at any time. Aside from potential commercial benefits for Skype and MySpace, the move contributes to a trend: embedding of communications inside popular applications and experiences. Microsoft has formally launched Office Communications Server and a new version of Office Communicator, the OCS client, and expects the new platform will "change the business structure" of the PBX business, says Microsoft Chairman Bill Gates. "The era of dialing blind, the era of playing phone tag, the era of voice-mail jail, the era of disconnected communications...that era is ending," says Jeff Raikes division president. Gates points to a survey Microsoft commissioned that indicates just one in three enterprise users have successfully transferred a phone call. Even fewer ever have set up a conference call, says Gates. Such opaque systems are going to be a thing of the past, he says. "This is a complete transformation of the traditional business of the PBX, which is sort of like the mainframe," says Gates. "We live a life of rich digital communications but the phone isn’t part of it." "It is our view that wherever you see the name of an employee, you should be able to right click and see where they are reachable, right now," says Gates. "People also should be able to use their mobile phones to the business phone system." And while OCS is designed to integrate with existing business phone systems, "over time, the lower cost structure will be to not have the PBX," says Gates. A UBS analyst has confirmed that Taiwanese handset manufacturer HTC will ship about 50,000 cell phones running on a mobile operating system made by Google. The phones are reportedly going to ship by the end of this year. But the phones will only be going to development partners. The move would suggest that Google is more interested in an operating system for mobile devices than making actual devices itself, as most observers would guess, if given a choice between those two avenues as most likely. But development of the operating system does not preclude the possibility that Google might want to have its own name plate on devices built on the operating system. “These initial phones are not going to be for sale,” says Benjamin Schachter, UBS analyst. After what appears to be a delay caused by commercial disagreements, Orange and Apple have settled on a deal whereby Orange is the exclusive distributor of the iPhone in France. Under the original deal, Orange agreed to pay Apple 30 percent of revenues generated from iPhones sold with mobile contracts. it appears Apple wanted more, to offset lower margins on phones sold unlocked, as French law requires. There is no public word on how the original deal might have been modified. Scott Moritz at TheStreet.com says at&t is gearing up to buy EchoStar fast. The logic is unassailable. at&t wants to get big in entertainment video. It will take a long time to get its entire network revamped to do so. Buying EchoStar puts at&t right into the big leagues with more than 13.6 million subscribers. Competitor DirecTV has about 16.2 million subscribers. So by acquiring EchoStar, at&t immediately vaults into a position where it serves more than 45 percent of the U.S. satellite-delivered multichannel TV market. 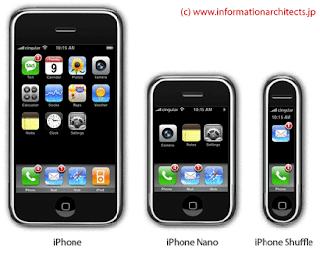 At least some observers think iPhone really is not that big a deal. Sure it is. It is the first device to begin breaking the carrier-device-user relationship. To a greater extent than any other device in the mobile world, Apple has started pushing in the direction of a direct handset-user relationship. Google will be next. It IS a big deal. Gmail will increase free storage gradually over the next several weeks. On October 23, users will get 4321 MB of storage. Storage will continue to increase to 6.283 Gbytes on Jan. 4. After Jan. 4, storage will increase 3.3 MBytes every day, says Google. Google Apps mail accounts will have the same quota as standard Gmail accounts, while Google Apps Premier Edition will have 25 GB mail accounts. Previously, Google Apps accounts had 2 GB of storage, while the business edition offered 10 GB per account. Gmail paid storage options also will expand, providing about 50 percent more storage for the same price: 10 GB for $20/year, 40 GB for $75/year, 150 GB for $250/year and 400 GB for $500/year. Check out the listing on LinkedIn, Monster.com and Dice. "We are considering individuals who are aggressive, business savvy sales professionals with a history of solid sales success to Endeavor’s customer base: carriers, telecom service providers, manufacturers, systems integrators, and VARs. Endeavor does not provide services direct to end-users/enterprises, so proven channel sales success is required. This is typically a work from home position with overnight travel expected to be less than 20%. Compensation is $120,000 to $250,000+ per year (Base + Uncapped Commission) plus benefits." Mobile broadband will be the dominant broadband platform worldwide in 2011, according to Informa Telecoms & Media. There will be more than one billion broadband subscribers worldwide in 2011, with the majority using mobile rather than fixed networks. Mobile broadband will be a "more than" $400 billion service revenues business in 2012, as a result. Of course, getting there will mean climbing a wall of end user resistance to mobile broadband pricing, research by Parks and Associates suggests. That might be especially true if mobile broadband winds up being a replacement for narrowband mobile access, rather than fixed mobile access. HSDPA (High-Speed Downlink Packet Access) will be the leading mobile broadband technology by then in terms of number of subscribers, followed by EV-DO (Evolution Data Optimized and mobile WiMAX. "Mobile broadband will represent close to half of total mobile service revenues in 2012," says Mike Roberts, Informa analyst. Paetec is acquiring Allworx Corp., a provider of IP-based PBX and key systems aimed at the small and medium business user. The transaction makes more sense in light of Paetec's recent merger with McLeod, whose customer base is largely anchored on smaller businesses use a single T1 connection at most sites. Paetec's historic customer base is a mid-market firm. So Allworx will make sense as a favored solution for McLeod customers more than for Paetec's historic base. Based in East Rochester, N.Y., Allworx primarily uses Value Added Resellers as its sales channel. Paetec says it will continue to use VARs, as well as its extensive agent network, to introduce both Allworx services to Paetec customers while cross-selling Paetec connectivity services into the Allworx base. The acquisition, set at $25 million, is interesting as it is not common to see communications "footprint" providers buying "application" providers. But more providers seem to be putting their money where their views are, as "moving up the stack" now is seen as necessary. Level 3 has been buying content delivery assets, not simply termination assets or access assets, for example. That isn't to say all providers think this is the right strategy. Some continue to launch or extend Layer 2 connectivity businesses that deiberately remain focused on access to end user sites and transport within a metro area or region. "People Have No Idea What We Might Be Up to"
Google's 80/20 program, where associates are encouraged to spend 20 percent of their time thinking up new things for Google to do, means Google "could do almost anything," says one source. Google just bought Jaiku, a mobile social networking and messaging service, and seems still to be hunting for experienced telecom executives and capacity, for example. Google is going to be a player in mobile, it seems clear enough. The only issue is how it will play, and in how many ways. Need a little satellite broadband with your order? Wal-Mart customers will be able to buy HughesNet satellite broadband services soon. Sure, it is a niche. But there are lots of big niches in the communications business. About 10 percent of all U.S. end users live places where the local telephone company is not one of the big brand names. Also, for some of us, wireless is a good way to back up a primary wired broadband connection. In my case, Covad as a primary for primary in-home business and personal use, plus 3G wireless primarily for mobility, but also as the backup in case the primary service fails for any reason. It wasn't your imagination: if you use T-Mobile data services, you had no connectivity for as much as four hours on Tuesday. Personally, I thought it was the coverage inside the convention center I am working inside of. Nope. There was an outage. I thought it was the BlackBerry server at one point. But no. The latest outage just illustrates an important element of digital life: you really can't trust any service or application to remain "always available." Everything is going to crash, or be unusable, for some amount of time. So one either gets used to the idea of periodic outages, or if that isn't satisfactory, you are going to have to back up all your mission critical services, devices, data or applications. Personally, I don't worry too much about application diversity, though most of us have some of that. I do make sure broadband and mobile access, as well as computing devices, are redundant. 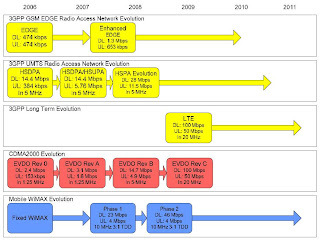 at&t is the first winner of the battle to win 700 MHz wireless spectrum. Not, of course, because it has won anything in the upcoming auctions for C block and other spectrum. 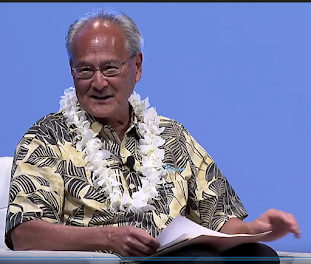 Instead, at&t is acquiring $2.5 billion worth of wireless spectrum licenses covering 196 million people in the 700 MHz frequency from Aloha Partners. The 12 MHz of spectrum covers all of the top-10 U.S, wireless market and 72 of the top 100 markets overall. As someone who spends lots of time at conferences and trade shows, and who randomly bumps into people, it occurs to me that one location-based service that would really be helpful is a way to have your mobile alert you when somebody you have been communicating with over a recent user-defined period is in your vicinity. The reason is simple enough: quite often one works with people for years without ever physically meeting them. And if the opportunity presents itself, one would like to stroll over and say hello. The issue is that I don't know how well GPS will work when all of us are inside a large meeting hall. Bluetooth would help for short distances, I suppose. It might also be nice if the app could run in the background when synchronized with one's notebook or desktop and collect photos of your contacts, putting them into your contact database so you know roughly what the person you want to meet looks like. For that matter, scouring public sources and putting a picture into my contact directory might also be nice if I weren't a Facebook user, which essentially provides that function. Sprint Nextel says it expects to report a net loss of approximately 337,000 post-paid subscribers in the third quarter, and also announced the resignation of CEO Gary Forsee. Perhaps the company has spent too much time on the WiMAX network is hasn't yet built, and too little time stemming serious subscriber losses in the voice and third generation business it does have. To stimulate development of new applications using Wi-Fi hotspots, BT is running a contest with a £1000 prize for the best new Symbian-based mobile application. To enter the challenge, an application should make use of the device's Wi-Fi connection for some of its operation. Applications will be judged on the innovative use they make of Wi-Fi connectivity, how easy they are to use, and their commercial potential. There are smaller prizes for runners-up. The challenge is open from October 16 and the closing date for entries is January 16, 2008. Vonage has settled its Sprint Nextel Corp. patent infringement lawsuit for $80 million. As part of the settlement, all claims are resolved and Sprint has licensed to Vonage the Sprint portfolio of more than 100 patents covering the connection of calls between a regular telephone network and a packet-switched network such as the Internet. The $80 million Vonage agreed to pay consists of $35 million for past use of the patents, $40 million for a fully paid future license, and $5 million in prepayment for services. Vonage has maintained it has sufficient reserves to pay both the Verizon and Sprint Nextel patent infringement awards without long-term damage to its business model. There has been some speculation that the patent infringement damage awards would push Vonage over the edge into bankruptcy. The countervailing point of view has been that the patent disputes were a serious financial distraction but not alone capable of damaging Vonage's long-term prospects. More dangerous by far is the threat posed by cable providers bundling VoIP with video and broadband access services. In that sense, EarthLink faces much the same problem. It has a reasonably-sized Internet access business that has to contend with triple play bundles as well, though EarthLink arguably has made better progress in creating a double play offering of broadband plus voice. The settlement of the Sprint lawsuit is helpful primarily in removing a huge distraction and source of uncertainty. If device choices are an accurate reflection of user preferences and behavior, there is a big different in use cases of BlackBerry and Palm devices. To wit, BlackBerry users seem quite fixated on business use, while Palm uses are much more likely to use their smartphones for managing details of their lives as consumers. Windows Mobile users also tend to use their smartphones more heavily in "personal" rather than "work" modes. So personal considerations are more important factors in driving smartphone purchases and usage than you might suspect. Some 83 percent of consumers say they use their smartphones for personal reasons in some form or another. 71% of consumers tell researchers at Compete that they have a smartphone to stay organized in their personal life, while 46 percent say they use the devies to stay connected to work. Given that until now most smartphone makers have primarily focused on the business-user segment, these are surprising results, Compete researchers say. A decade ago, Nextel was the star of the U.S. mobile industry, with way-above-average revenues per subscriber based on its business user base. Today, Sprint Nextel is struggling to find its way. We point out the introduction by at&t of the new Tilt phone as an example of why Sprint Nextel is faltering. It isn't the technical performance of the phone, though it is among the "smartest" of smart phones available, or the form factor or the industrial design, though some will appreciate it. Of course, it hasn't helped that Sprint still is struggling to get the separate Nextel and Sprint networks and technologies to mesh. But it might be argued that Nextel's market success now is a large reason for Sprint's undoing. The reason is simply that the gravitation pull of Nextel's business customer base might have defocused Sprint on the consumer-lead dynamic of the mobile phone market. As with so many other elements of technology adoption these days, innovation is seeping into the market, and into the fabric of business life, from the consumer segment. And one might argue that Verizon, at&t (Cingular)and T-Mobile have done a better job, of late, of tapping into that dynamic. As phones and mobiles increasingly have become fashion items, Verizon and at&t have seemed better able to capture the spirit. Perhaps in some largely unconscious fashion Sprint executives relied too heavily on the "pin drop" quality of the network, rather than offering fashion-forward devices. That isn't to ignore technical parameters of the user experience. But most users realize that every network has some limitations, largely negating the "our network is better" positioning. Sprint has had to integrate two completely different air interfaces, to be sure. You might think "data network" when you think of Sprint. You aren't nearly as likely to think "cool phones." And that increasingly is what is driving the market these days. 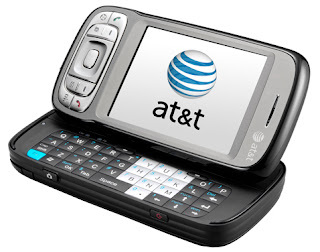 The Tilt is the first at&t-enabled Windows Mobile 6 smart phone, and features a slide-out QWERTY keypad design, a 3-megapixel camera, 3G data speeds from AT&T's UMTS/HSDPA network and global connectivity. Designed by HTC, the AT&T Tilt features a 2.8-inch color screen that slides back to reveal a full QWERTY keyboard, then tilts up to position the screen perfectly for reading and creating e-mail, browsing, watching videos or playing games. The Tilt supports Bluetooth 2.0, which allows for up to six Bluetooth devices to be wirelessly connected simultaneously to the device and also supports Bluetooth Stereo. The Tilt also features the latest version of TeleNav GPS Navigator and address sharing, which allows users to share their current locations or the location of their favorite businesses with other mobile users. Business users also can use TeleNav Track, a mobile workforce management solution that includes GPS-enabled tracking, timesheets, wireless forms, navigation, job dispatching and bar code scanning. The Tilt also operates in Japan and Korea, as well as in 135 countries using the GSM air interface. Wi-Fi is built in. The Tilt also comes with the highest-resolution camera available on any at&t mobile phone (3 megapixels). The device also accommodates 4GB MicroSD flash memory cards and is capable of supporting up to 32GB MicroSD cards to expand storage for pictures, video, music and more. The at&t version of the Tilt also will be the first Windows Mobile device in North America to include BlackBerry Connect version 4.0 software, which provides BlackBerry email service, security and device management for IT administrators and the benefit for users of wireless synchronization of email, calendar, contacts, task list and memo pad information. BlackBerry Connect v4.0 supports push email for Microsoft Exchange, IBM Lotus Domino and Novell GroupWise through the BlackBerry Enterprise Server and personal email through the BlackBerry Internet Service. Customers can also use the AT&T Tilt to access their personal email. Better than most devices, the Tilt bridges the business-focused BlackBerry segment with the media player personal device. And that's the issue: people buy devices. The network and the plan just follow along. Level 3 Communications has made seven acquistions in the last 18 months, including Broadwing, part of the Savvis portfolio, TelCove, Looking Glass and ICG. Several of the buys related to its new content delivery network portfolio. But many of the sizable acquisitions are related to its core bandwidth business. If you have been around the business long enough, you know what is happening in the back office. Disparate systems are running in parallel. Manual reports have to be built. Billing systems don't talk to each other. Inventory cannot be interrogated in real time. Provisioning backlogs are the inevitable result. That is one possible reason Level 3 reported relatively light revenue and earnings growth in the most recent quarter. Demand for its services isn't the problem. If anything, in light of the back office issues, demand possibly is outstripping provisioning. Any company would have at least some issues getting new customers provisioned efficiently were it to digest as many acquisitions as Level 3 has made recently. So we would not be surprised if the company is having issues getting the new customers onto the network. In fact, it probably is safe to say that bandwidth in service has grown at an unprecedented level over the last year. If one looks at total in-service bandwidth provisioned by Level 3 in its entire history up to about 12 months ago, the amount of bandwidth in service probably has doubled again in the last 12 months. That rate of growth would cause issues for any service provider. So we wouldn't be surprised if there was some hiccup in provisioning new orders. In fact, the backlog could be great enough that three months might have to pass before the provisioning teams can catch up. Level 3 wouldn't be the first company to have problems with too much success. One way to differentiate what might otherwise be a fairly ordinary broadband access service is to extend access from a "one site" service to a "hundreds of thousands of sites" service. And that's what BT hopes will happen as it capitalizes on an exclusive deal with Fon to create a huge new network of hotspots in the U.K., based on three million BT broadband access accounts. BT had been headed in that direction anyway with its Openzone program. The BT Fon effort accelerates the WiFi footprint within the U.K., and also offers connections abroad. Greater density also makes possible more ubiquitous dual-mode mobile phone usage: which is part of why the Wi-Fi initiative made sense in the first place. Level 3 Communications has been gearing up for a major assault on the content delivery networks business and appears ready to price such services at a rate that basically offers caching and downloading services for no more than the cost of buying IP transport. If, as expected, Level 3 prices content delivery at the same price as Ip transit, it could disrupt much of the market. It isn't so much the disruption of profit margins: that already is happening as several dozen contestants now are slugging it out for some share of the growing market. The bigger issue is how participants in the media, hosted applications and enterprise end user markets are able to change the way they do things if enhanced quality becomes an integral part of the IP transport they buy. Level 3 hopes to have its streaming services ready by mid-November. At that point it will have a wider shot at disrupting the market for transport of real time services. Right now much of the market is focused on video content. But there are other real time applications and services that really would benefit from lower-priced and more capable delivery over networks that eliminate jitter and latency over the global wide area network. Access networks on each end still are issues, but tail circuits also keep improving. As more applications move to "cloud-based" processing and storage, they will have to start having the "feel" of local desktop apps. CDNs will be part of that experience. And that's where the major impact will lie. Nokia Navteq: a Service Provider?